T.V. John and his Legendary Band, Wednesday, May 31, 7 – 9 PM, Admission is FREE! VisArts is proud to open Local Legends, a group exhibition that mines recent one-of-a-kind stories and offbeat folklore from Rockville to fantastical ends. A team of contemporary artists has created newly commissioned artworks in response to a curated trove of published stories, oral histories, and documents developed by the exhibition’s research team. Local Legends is curated by our 2017 Mentoring Curator José Ruiz, as part of the VisArts Emerging Curator Program. The exhibition’s narrative unfolds through the works of DMV artists Calder Brannock, Rodrigo Carazas Portal, Larry Cook, James Huckenpahler, Katie Macyshyn, Amanda Kleinman, Raul Zahir de Leon, and Kathryn Zaremba. Each of these artists employs a malleability of interpretation and appropriation towards what is considered newsworthy in order to prompt the local community to consider historical, conceptual, and visual narratives in new ways. Their respective practices combine context, research, and a variety of media including sculpture, photography, installation, performance, illustration, video, and new media. A limited edition newspaper documenting the artistic and research process will accompany the exhibition. 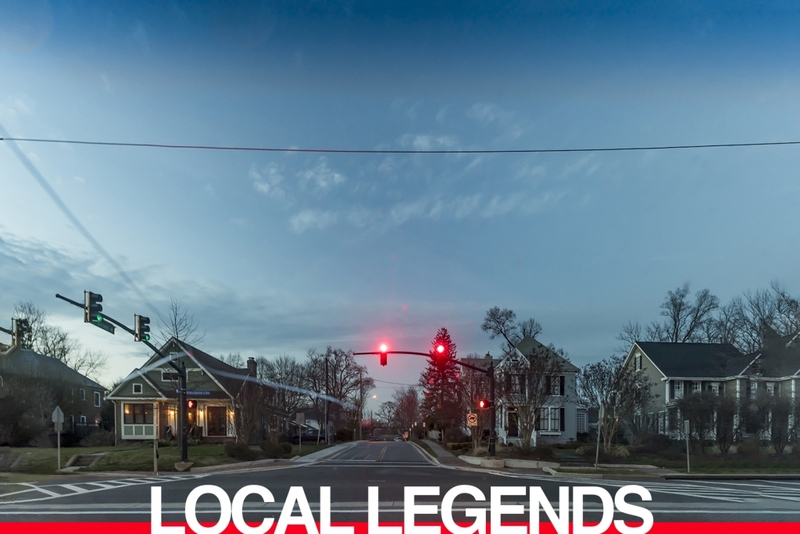 Local Legends promotes the belief that the extraordinary can happen in the most unexpected places, and that a town’s identity is often collectively shaped by intimate moments and human ephemera. What is archived can be unearthed and remixed. What is re-collected can also be re-shared through structures of exhibition and display. Ultimately, transforming a gallery space into a site for communal reflection through a dialogue shaped by its own vernacular. José Ruiz is a Peruvian-born artist and curator who lives and works between DC, Baltimore, and New York. Over the past fifteen years, he has mounted exhibitions and curatorial prompts for cities, museums, biennials, non-profits, galleries, and art fairs. These projects have taken place in street corners, community centers, universities, abandoned warehouses, creative incubators, and commercial spaces, both at the national and international level. His practice has been the subject of various publications, including The New York Times, The New Yorker, The Wall Street Journal, ARTnews, Arte Al Día, Artnet, and The Washington Post. He is the founder of Furthermore, a post-studio research, design and production lab operating out of DC and Brooklyn, and a partner and co-director at Present Co., a New York-based gallery and curatorial collective. Ruiz currently serves as Director and Faculty in the Curatorial Practice MFA Program at the Maryland Institute College of Art in Baltimore, MD.